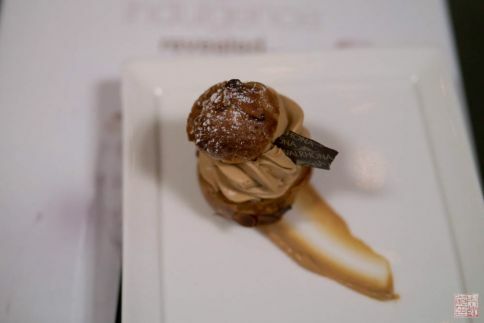 When most people talk about becoming a pastry chef, it’s usually French pâtisserie they are referring to: puff pastry, buttercream, profiteroles, chocolate ganache. 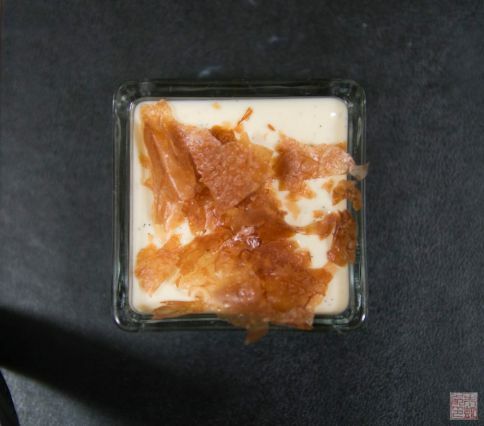 Can you imagine making crème brûlée or pâte sucrée by any other method than the French way? 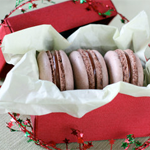 And yet, it’s a French pastry chef who is trying reinvent the classics of French pâtisserie. 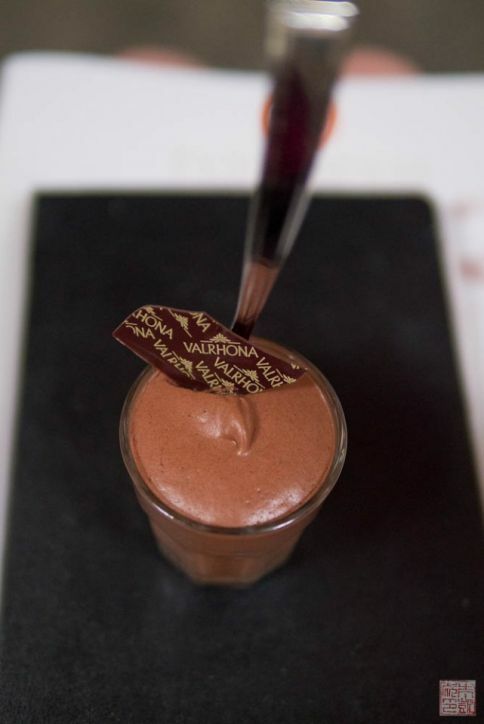 In July I was invited by Valrhona to attend a special conference on “La Gourmandise Raisonnée”, that promised a modern perspective on making pastries less of a guilty pleasure and more of a measured indulgence. 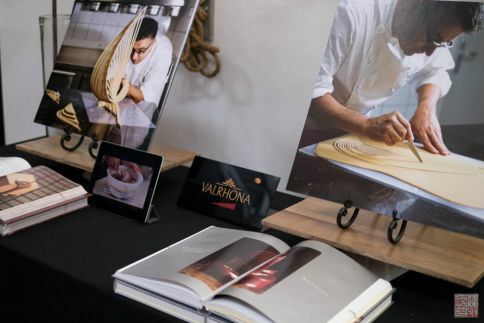 The one-afternoon-only event was held in downtown San Francisco and featured some of Valrhona’s chocolate masters from their famed Ecole du Grand Chocolat, including chef Frederic Bau himself, the author of this chocolate reference book. It’s a rare opportunity to meet such a pastry luminary all the way on the west coast, so I said yes straightaway to the invite. Who says no to Valrhona? 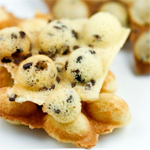 Chef Bau helped found the Valrhona Ecole du Grand Chocolat in 1989 and is currently the creative director. He admitted that France is quite proud of its pastry tradition, so naturally many pastry chefs there are reluctant to tinker with the classics – after all, when you go to France, you are expecting perfect croissants and éclairs, not some sad watered-down versions. However, Bau is committed to the concept he calls “measured indulgence”. He emphasizes that it’s not about counting calories, or creating diet food, but about cutting away the excess sugar and fat. 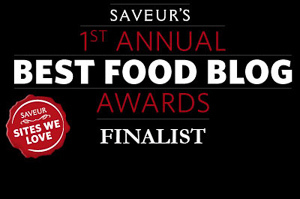 In a way, his crusade reflects the trend towards simple, ingredient-driven cuisine in the US. 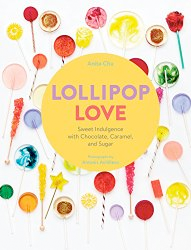 As Alice Medrich has noted in her chocolate books, paring out the butter and cream from some of her recipes has brought out the flavor of the chocolate and made the results more refined and intense. Similarly, Bau sees many classic French recipes as a celebrations of excess and indulgence. Is there room to edit them down while preserving their essential nature? He challenged himself to look at some of his favorite desserts with a fresh eye and a minimum of nostalgia. Bau is a French pastry chef at heart, though, so his goal was to achieve the best taste possible “without concession”. Throughout his presentation he emphasized that while he worked with nutritionists, he is not a food scientist so he is not as interested in doing fancy caloric analyses or using food substitutes. 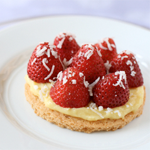 To that end he partnered with a medical nutritionist, Dr. Thierry Hanh, to evaluate some popular French desserts and give suggestions on what were some of the most extravagant aspects of their composition, to give Bau a direction of how to reformulate them. We had a tasting of about six desserts to illustrate the Measured Indulgence concept. 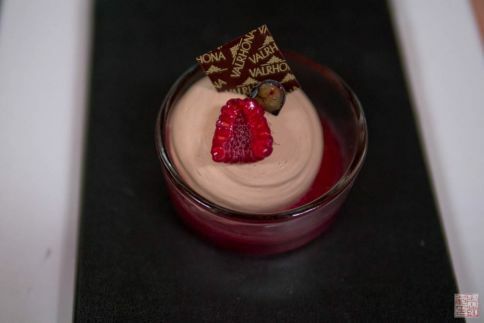 The first dish was a panna cotta made with Valrhona’s Coeur de Guanaja. 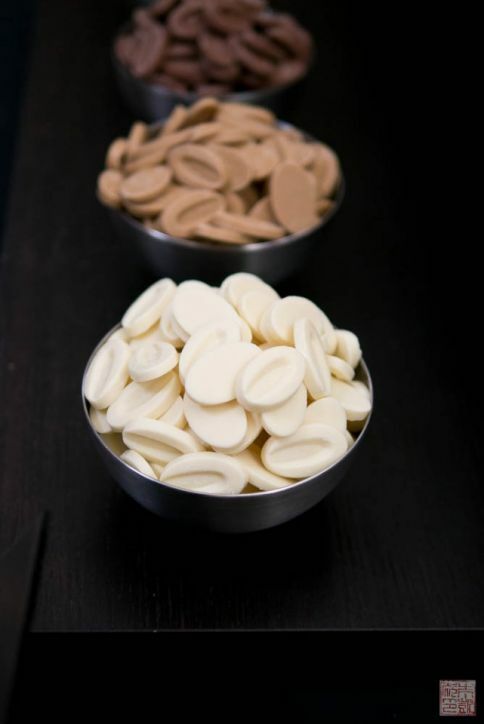 Bau’s reworked version contains less cream and sugar, yet retains the silky texture and full chocolate flavor, thanks to the high chocolate, low cocoa butter Coeur de Guanaja. My favorite Valrhona chocolate pearls were sprinkled over the top. Next, chef Bau took on another rich and sugary dessert, crème brûlée. He determined that most of the sugar content in the traditional recipe was sprinkled on top of the cream for bruleeing. He eliminated that sugar and substituted hazelnut feuilleté “crisps” on top to imitate the crunch of the torched sugar. 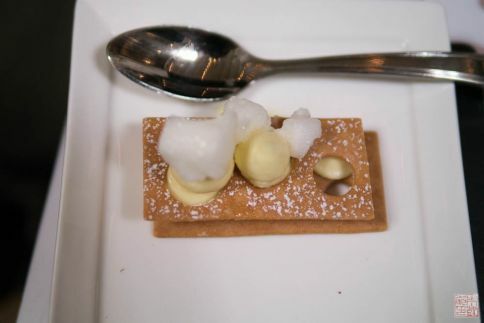 This was probably the most different take on a classic dessert that he presented. A take on that old warhorse, Paris-Brest. Bau explained that this was a difficult dessert to “m.i.”, as all the components were quite rich. His approach here was to replace most of the animal fats (butter, cream) with vegetal fats such as hazelnut oil, which he feels is more healthful. While the original Paris-Brest is a bicycle wheel-inspired ring, here the minimized version is more like a cream puff. The pâte à choux pastry has the butter replaced with hazelnut oil; as Bau notes, it’s meant as a base for the filling, so why does it need so much fat? The praline whipped ganache has the amount of cream and eggs reduced, but it’s whipped slowly for a long time to achieve the same luscious density as the original version, thus resulting in the same mouthfeel. This was one of the prettiest desserts at the conference, a raspberry baba rhum. Here Bau replaced some of the sugar in the soaking syrup with apple pectin, reducing the sugar overload. The cake in the photo is hidden beneath a swirl of milk chocolate ganache, and rests in a pool of raspberry and star anise soaking syrup. When we came to the lemon tart, I was excited since it’s one of my favorite French desserts. Bau also claimed this was one of his favorites, but that Dr. Hanh was horrified when he saw the ingredient list! He asked Bau why there had to be so much butter in the lemon curd, when he wasn’t looking to make buttercream, and he wasn’t even looking for the curd to taste like butter. We’re all used to making lemon curd with a lot of butter to give it that creamy, luscious texture, but Bau took the observations to heart and went back to the drawing board. He realized that using cocoa butter would create a similar mouthfeel, so he substituted white chocolate (which is mostly cocoa butter) into the recipe, and also reduced the amount of eggs. 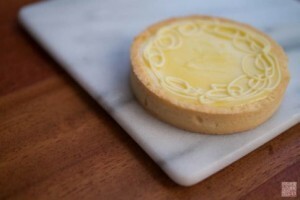 Although it seems almost not a lemon curd recipe, the result, a lemon white chocolate tart, tasted virtually the same. Here, Bau does a rather modern presentation by piping the curd between two shortcrust biscuits and dotting some meringue on top. The result achieves the same pleasing contrast of textures that Bau adores in his lemon tart, but in a much more streamlined format. 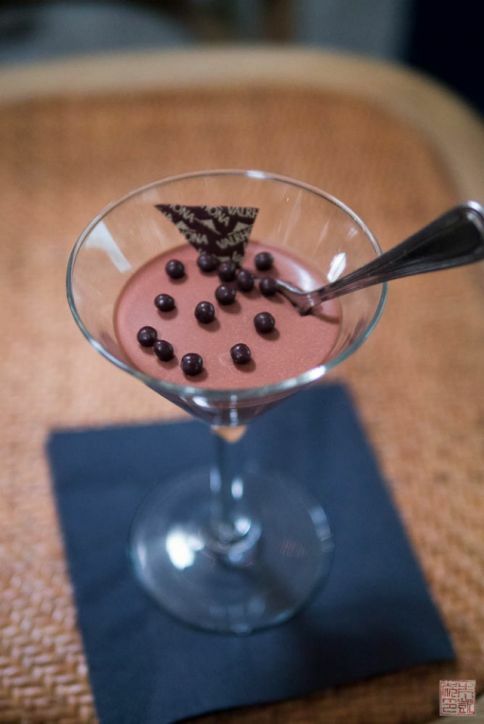 Finally, a little chocolate mousse. It’s interesting that so many of the desserts presented are soft and creamy – usually this is associated with large amounts of cream or eggs to create that luxurious texture. But as Bau explained this mousse was “low everything” – no milk, yolks, and very little sugar. 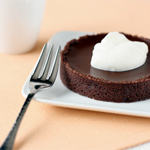 The softness of the mousse was achieved through careful emulsion, and the use of gelatin and apple pectin. If you remember my chocolate mousse experiments (inspired by Bau’s book), it certainly demonstrated that more does not always equal better. Some of the simplest, most streamlined versions of mousse I actually found the tastiest. Naturally, once I got home I was excited to try out some of Bau’s recipes in my kitchen. 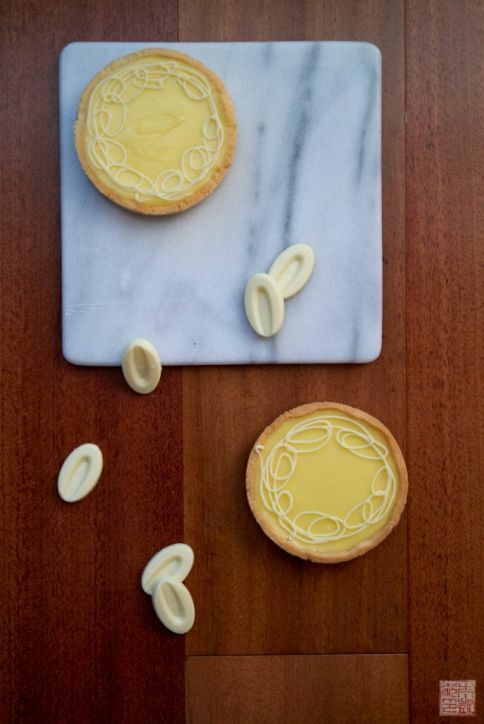 Valrhona was kind enough to send me some of their white chocolate, since I mentioned I really wanted to make the lemon white chocolate tart. In essence the technique is the same: combine lemon juice, sugar, and eggs and cook until thickened. However, instead of adding in butter, you pour the curd over the white chocolate. It sets up in the refrigerator just like regular lemon curd. I could taste a slight hint of white chocolate initially; Valrhona’s Ivoire couverture does have a mild milky, faintly grassy white chocolate taste. However, it seemed to fade over time as the tart “aged” over a day or so. 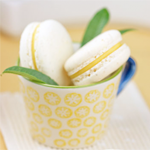 Be sure to use the best white chocolate you can get for this recipe; it’s the cocoa butter in the chocolate that will give the lemon cream its rich mouthfeel, and lower quality brands of white chocolate can contain very little cocoa butter. I also drizzled some white chocolate over the tops of the tarts, which set up to give them a nice little crunch – that contrast in textures that makes this dessert so pleasurable. Although I’ve rarely turned down a good lemon tart, now I have another reason to indulge just a little more. 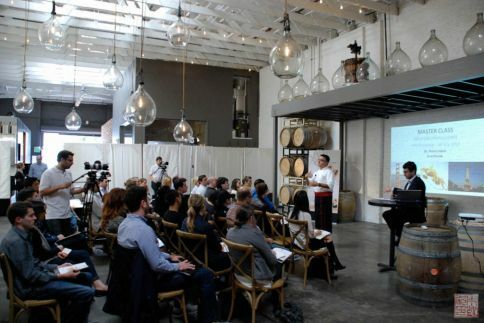 Thanks Valrhona and chef Bau for such a thought-provoking presentation! I was invited to attend the Valrhona Measured Indulgence conference and was sent a bag of Ivoire couverture for my use. All opinions in this post are my own. Inspired by Frederic Bau's New Lemon Tart. 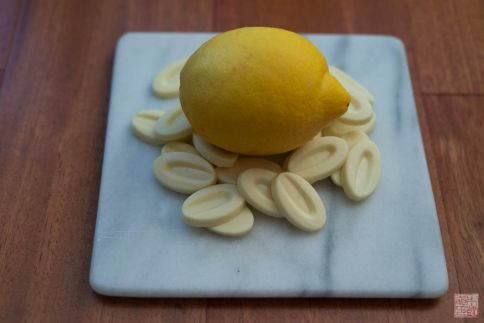 Lemon cream recipe courtesy of Valrhona. Place the butter in a food processor and process until soft and creamy. Add the confectioners' sugar and process until well blended and smooth. Add in the almond meal, vanilla extract, and salt and process until well blended. Add in the egg and process until just blended; scrape the bowl down as necessary. Add the flour and pulse just until the dough starts to come together into a ball; don't overprocess. The dough will be very soft like cookie dough. Scrape the dough out of the food processor and make into a ball. Flatten out into a disk, wrap in plastic, and chill in refrigerator for at least 4 hours until it is firm enough to handle. 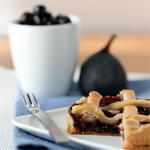 When you are ready to bake off the tart shells, take the dough out of the refrigerator – let it warm up a bit if necessary but not too much because it will start softening fast. 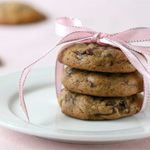 Roll out the dough between two sheets of plastic wrap to ⅛" thickness. If the dough gets too soft, place back in the refrigerator to firm up. 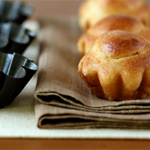 Cut out circles of dough to fit into desired tart rings. Press the dough carefully into the tart rings and up the sides, being careful not to stretch the dough or it will shrink when baked. Place the rings into the refrigerator to chill for at least 30 minutes. Trim off the excess dough from the top of the rings. Heat the oven to 350 degrees F while chilling the tart shells. When you are ready, line the shells with parchment and fill with beans or rice to keep the shells weighed down. Bake shells for about 15-18 minutes until they are lightly colored and the shell feels dry to the touch. Remove from the oven and place on a rack. Remove the beans and parchment and brush the bottoms of the shells with a light egg wash (made from an egg white and a bit of water). Let cool before filling. Combine lemon juice, sugar, zest and eggs together in a large metal bowl. Place white chocolate and cocoa butter in a separate large bowl. Place bowl over saucepan of simmering water and cook slowly over medium heat, whisking constantly, until mixture thickens. Remove from heat and pour over the white chocolate and cocoa butter. Stir vigorously until combined and chocolate is fully melted. Pour out lemon cream into a clean container. Refrigerate for at least an hour until it has fully cooled and firmed up. 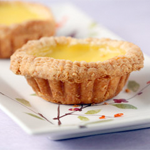 To finish the tarts: Spoon some lemon cream into the tart shells, filling all the way to the top. Shake the tarts lightly to smooth out the cream out. Chill tarts in the refrigerator for about an hour before serving. Wow, I’m so jealous. What a great opportunity. 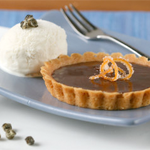 The creations look great, especially the mousse and tart. I felt very lucky to attend. Thanks, glad you enjoyed reading about it! These looks fantastic. 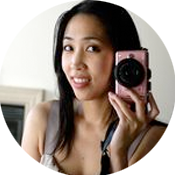 Where did you get your straight sided tart tins from?